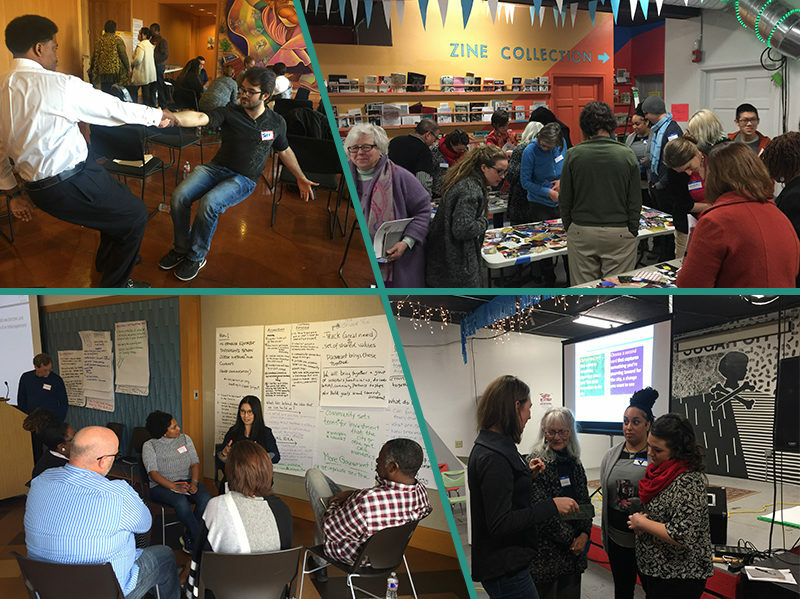 In late 2016, Dallas, TX convened a diverse cross-section of stakeholders, including city agencies, community organizers, business leaders, artists, cultural organizations, and nonprofit service providers, to embark on round two of EmcArts' Community Innovation Lab. 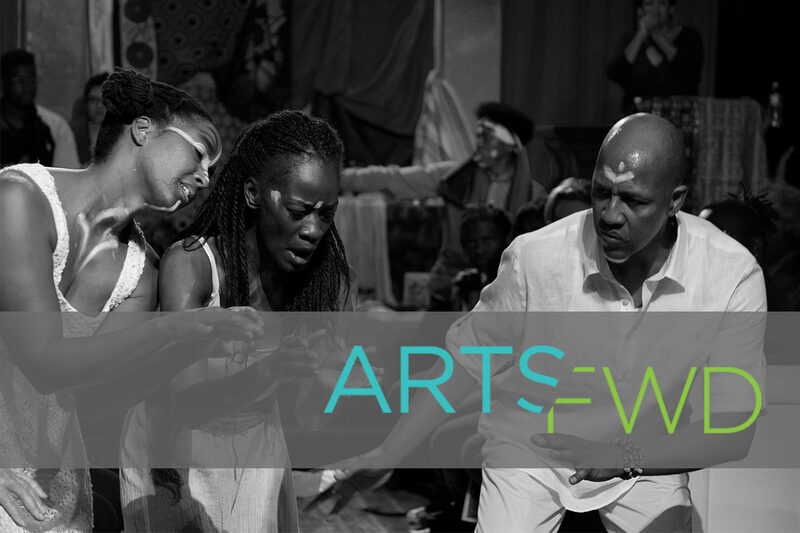 The Labs are designed to enable community stakeholders to create long-lasting, robust, and cross-sector networks that empower communities to leverage artistic practices to bring about social change and advance progress on important civic issues. As of the end of 2017, the Dallas Lab has now completed their 15-month process, though the work is being carried forward by many of the Lab participants. The Lab was convened by Southern Methodist University’s (SMU) Meadows School of the Arts through its arts and social justice initiative, Ignite/Arts Dallas, and by Big Thought, the Embrey Family Foundation, Make Art with Purpose (MAP), and SMU’s Hunt Institute. Funded in part by the Kresge Foundation, EmcArts’ Community Innovation Labs bring together learning from the fields of social innovation and creative placemaking. By design, each Lab fosters a deep commitment to collaboration, learning, and experimentation. In each city, dense local networks of cultural and civic organizations, leaders, and organizers are leveraged to build on existing capacity, reveal connections, and enable sustainable change efforts. 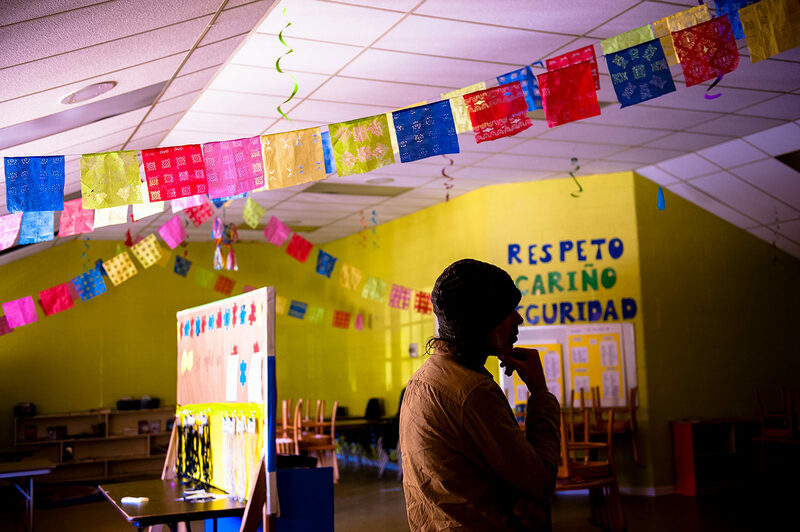 Dallas’ Lab members worked in “Ensembles” to develop strategies and test out initiatives that addressed urgent, local challenges in the community. Facilitated by EmcArts, the idea behind this aspect of the Lab was to give each Ensemble the opportunity to accelerate their thinking around an arts-integrated intervention for systems change by providing a framework to propel and focus their strategy – and then prototype it repeatedly before considering scaling or launching a larger idea. Abuela’s Table took an intergenerational approach to community-based initiatives that celebrate cultural traditions, food and healthy lifestyles. Extreme Food Desert Makeover examined the role of a locally-owned and operated grocery store and how it could feed the life of the neighborhood. (Re)Imagine the Neighborhood worked with local residents to “co-”power a new neighborhood vision, using food and the arts as the engine of change. Three smaller-scale seed projects to foster collaboration, learning, and experimentation in line with the Lab’s core question also emerged - honest dialogue about equity over formal tea ceremonies, research into needs and landscapes of opportunity in Dallas, and artistic water barrels and food gardens at the local Southside YMCA (a direct result of artistic work surrounding food and gardens). By bringing together stakeholders from all corners of Dallas, the Lab has started meaningful conversations about how economic justice and economic security affect equitable food access. We are thrilled to be a partner in this initiative, which aligns so well with our own commitment to creating more just and vibrant communities by building connections between our students, the artistic community, and the city of Dallas. The Meadows School of the Arts, formally established at SMU in 1969 and named in honor of benefactor Algur H. Meadows, is one of the foremost arts education institutions in the United States. The Meadows School offers undergraduate and graduate degrees in advertising, art, art history, arts management and arts entrepreneurship, corporate communication and public affairs, creative computation, dance, film and media arts, journalism, music, and theatre. The goal of the Meadows School of the Arts, as a comprehensive educational institution, is to prepare students to meet the demands of professional careers. The Meadows School is a leader in developing innovative outreach and community engagement programs, challenging its students to make a difference locally and globally by developing connections between art, entrepreneurship, and change. The Meadows School of the Arts is also a convener for the arts in North Texas, serving as a catalyst for new collaborations and providing critical industry research. For more information, visit here.